Jeffrey E. Hardyman is a partner in the law firm of Howard & Hardyman, LLP. He represents clients in a broad range of general corporate and commercial matters, estate planning and administration, and real estate matters. Mr. Hardyman's general corporate practice includes representation in acquisitions, dispositions and reorganizations of businesses, business counseling and continuation planning, corporate finance, organizing new business ventures and ongoing maintenance of business entities and employment matters. Mr. Hardyman's commercial practice includes representing businesses, banks, private equity groups and individuals in secured/asset-based loan transactions, foreclosure/collection of secured and unsecured debts. In the area of estate planning and administration, he assists individuals and family closely held businesses in achieving their estate preservation, wealth transfer and tax objectives by designing and implementing individualized lifetime plans and through the use of effective post-mortem techniques. He also represents individual and corporate fiduciaries in the administration of trust and probate estates. Mr. Hardyman's real estate practice consists of representing individuals, developers and contractors in commercial, agricultural, industrial and residential transactions, including negotiating, structuring and documenting acquisitions, dispositions, and leases, dealing with local governmental entities relative to zoning and land use issues, structuring tax-free exchanges, resolving environmental issues and litigation incidental thereto. 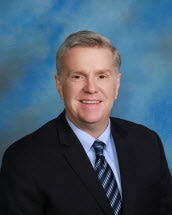 Mr. Hardyman is a member of the business, estate and real estate sections of the Winnebago County Bar Association. He has lectured for these sections as well as publicly on these topics.